Discussions Magazine Music Blog: LANA DEL REY/Born To Die: Available January 31st, 2012! 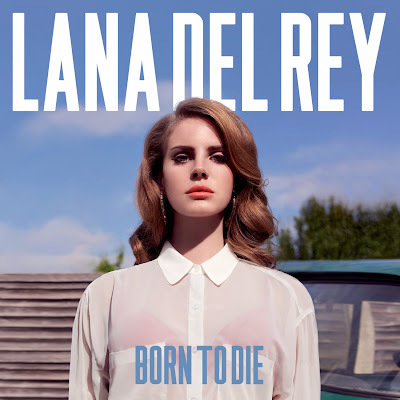 LANA DEL REY/Born To Die: Available January 31st, 2012! Highly anticipated 2012 debut album from the New York-based singer, songwriter and performer. She has described herself as a "gangsta Nancy Sinatra" and cites Britney Spears, Thomas Newman and Bruce Springsteen as her musical influences. Lana Del Rey's direct influences were visual as well as musical; David Lynch, soundtracks for `50s black and white movies, the whirring sound of the Ferris at Coney Island, fame itself. She lived in a New Jersey trailer park and decked her homestead in flags, streamers and seasonally inappropriate Christmas lights. Like these things she loves, the album sparkles with color and vitality. Includes the hit singles 'Video Games' and 'Blue Jeans'.